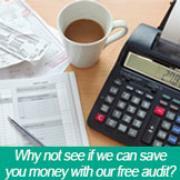 Is what we do best, from initial proposal to in-depth audit, we pride ourselves on the savings we deliver. Many suppliers will make extravagant claims of cost reductions, that can be made the question that always remains is can they be delivered? It’s easy to quote savings from cheap product alternatives but these may not be the appropriate quality or suitable for the business to use. More commonly and all too frequently it’s easy to quote savings that are not then subsequently monitored and validated. In most cases what we buy does not always remain the same so to deliver ongoing savings requires a dynamic and proactive review to ensure the buying arrangements adapt overtime. At Image we have an established expertise in providing significant ongoing cost benefits to our clients. We take a holistic approach to cost reduction identifying real deliverable savings, putting in systems and processes for their ongoing monitoring and review and then take steps to ensure they adapt and reflect the ongoing expenditure profile of the business. In many cases we have helped our customers to review and restructure the way they manage and purchase their office supplies to deliver significant savings. This is delivered through our SAVE programme where we survey a client’s current operations to identify cost-saving opportunities proposing clear and manageable systems to simplify and control their consumption and expenditure. In addition the visibility of order information and spend helps enhance control and cost awareness across the business. The SAVE programme involves a number of key steps and service elements that helps companies to not only reduce product cost but streamline their purchasing and invoicing systems reducing non-productive administration costs. With the SAVE programme we aim to save time and money at the heart of our customers’ business.